1. Are you traveling within the USA and NOT going to Hawaii? If yes, then go to “Traveling in the USA” area. 2. Are you traveling OUTSIDE of the USA (e.g. Asia, Canada, Mexico etc…)? If yes, then go to “International Pet Travel” area. 3. Are you traveling to Hawaii? If yes, then go to “Traveling to Hawaii” area. A health certificate is valid for 30 days after it is issued from our hospital. Some states now have different rules and regulations for pets to enter (e.g. proof of heartworm test), so it is important that you check the requirements ahead of time. Click on this website https://www.aphis.usda.gov/aphis/pet-travel, and scroll all the way down to nearly the bottom of the page to the “traveling with your pet from state-to-state“, and select the state of destination. An examination for a certificate should be done within 10 days or less of traveling. A health certificate will only be issued at the time of an examination, and requires an appointment during our non-emergency hours from Monday through Friday only. If sedatives are requested, then you need to tell us at the time of the examination in-order for them to be dispensed. We recommend that all pets traveling be current on vaccinations, including rabies. If you are traveling by automobile or truck, then we highly-recommend a health certificate because you may need to show proof of it to a border patrol agent, highway patrol, and/or at a state border check-in point. Not having this paperwork may result in not allowing you to pass through to your next destination with your pet(s). It is best to err on the side of caution by having this paperwork with you. If you are traveling by airplane or train, then it is your responsibility to check with the airline or railway company for the pet travel requirements. All companies have a different set of guidelines for pet travel and may require a health certificate. All pets are required to have an ISO-compliant 15-digit [international] microchip implanted. Regulations with each country vary in regards to when the health certificate should be issued. It may be as little as 72 hours ahead of travel. It is your responsibility to check ahead of time what the requirements are. Some countries require a bilingual health certificate and/or an import permit, which are documents that we do not provide. You need to find this paperwork, and bring it with you at the time of examination. Please visit https://www.aphis.usda.gov/aphis/pet-travel for the forms. Go to “take your pet from the United States to a foreign country (Export)”, and view the requirements/paperwork etc…. Their office is open from 7:30 a.m. to 11:00 a.m. Monday through Friday only. Cash and checks are not accepted as payment at their office. Some countries require a rabies blood titer test. You will need at least 5 to 8 weeks of time to process this test before exportation. If you do not do this test, then your pet will either be denied from leaving the USA or quarantined at your expense for 30-180 days upon destination. Some countries require additional treatments and/or tests before traveling. It is your responsibility to check if there are any additional requirements. All pets need to be fully-vaccinated before leaving the USA. 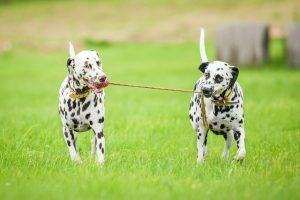 It is your responsibility to double-check on pet travel requirements with your airline company. Be sure to check with your departure and arrival airports. Regulations may be different from city-to-city within a country. Hawaii is the only state in the entire United States that is rabies-free. Because of that unique feature, the rules for importing animals is very strict. If you are planning to go to Hawaii for the first time with your pet(s), you should allow at least a minimum of 180 days (6 months) or more to begin the process. It is expensive to ship a pet to Hawaii, as everything from start-to-finish can cost around $2,000.00.